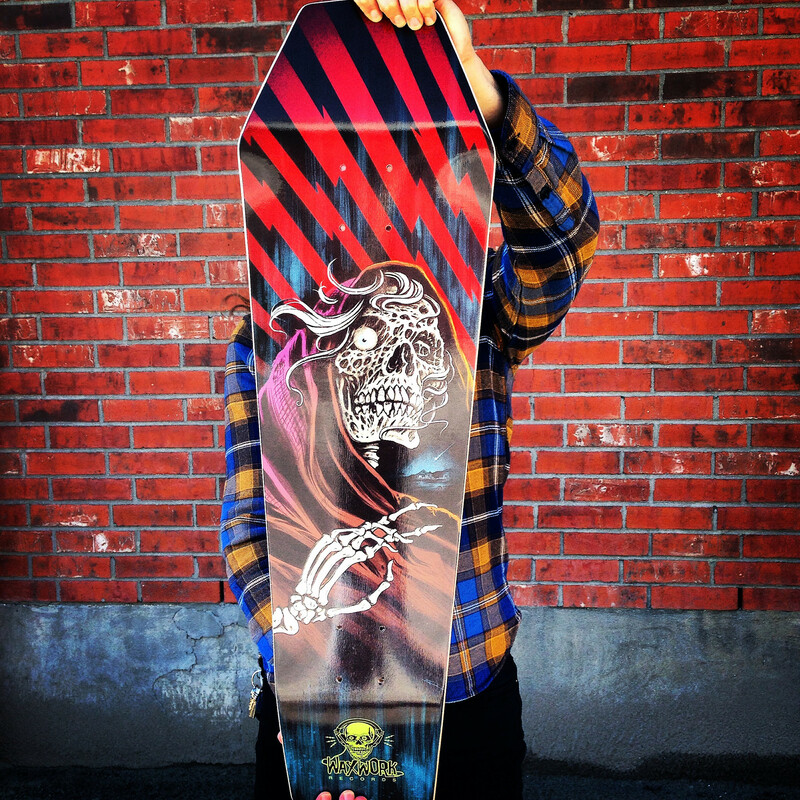 Taking some of the artwork from their 2014 Creepshow LP release, this deck features an awesomely gruesome image by Ghoulish Gary Pullin. The deck is constructed with durable 7-ply Canadian Maple – (seems fitting) and measures 31/5″ X 9.25″. CLICK HERE to preorder yours NOW! This item is expected to ship May, 2015. Keep in mind, this item is limited and will NOT be reproduced so if you want it, ORDER IT! You aren’t getting another shot at this beauty. Follow Gary on TWITTER for updates on new releases and head over to his OFFICIAL WEBSITE to see more of his impressive work. Hit up his STORE to get some devilish prints for your walls. 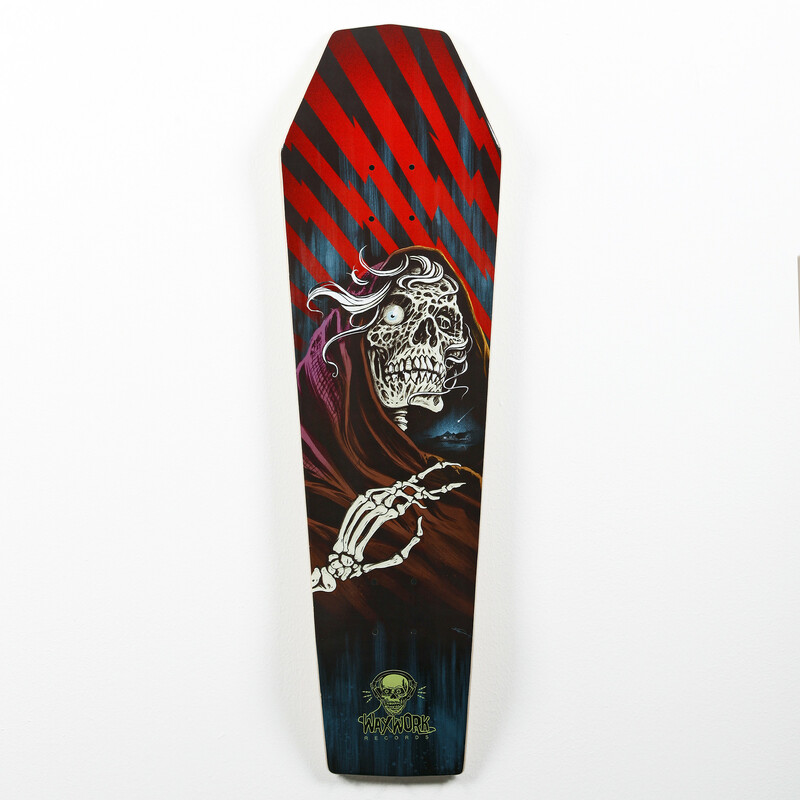 This entry was posted in Art, Skateboarding and tagged Creeper Coffin Skate Deck, Gary Pullin, Ghoulish Gary Pullin, Horror, Limited edition, skate deck, Waxwork Records. Bookmark the permalink.